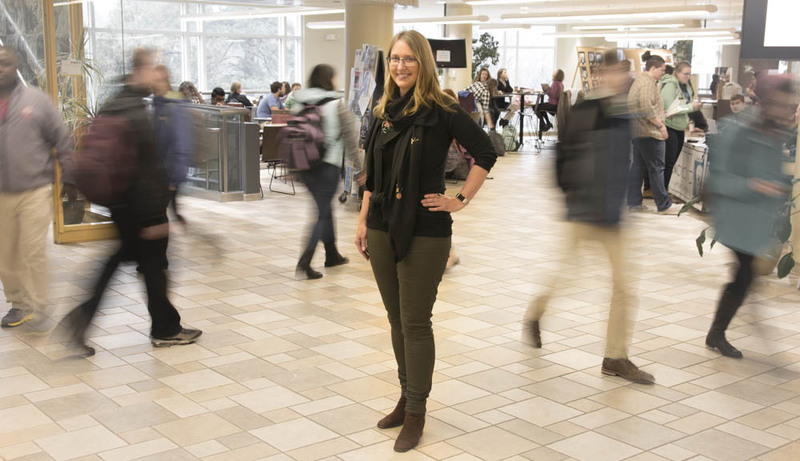 While science is often seen as black and white, sociologist Ingrid Shockey knows there’s a lot of gray area—that’s why the complexity of scientific study is so compelling to her. Ingrid Shockey knows that while science is exacting, human beings are notoriously unpredictable. Studying the two together leads to exciting discoveries about both. One misperception is that we are one dimensional in our problem-solving approach or reasoning. Sometimes people think that scientists fundamentally reject intuition or other subtleties in perception. Neil DeGrasse Tyson recently said, “In science, when human behavior enters the equation, things go nonlinear. That’s why physics is easy and sociology is hard.” We have to be open, sensitive, and adaptable. I have learned that stakeholders know more than I do. My first role is to ask questions, listen, and observe, so that I have a credible basis for participation in the project or solution. At the same time, it is often very difficult to hear the real story, to understand all of the dimensions at play in a situation, and then be able to deeply empathize with its implications. ... and other sociologists are often dismissed as “soft scientists” for seemingly studying the obvious. But I teach students how to lean in to complexity, ambiguity, and discomfort – whether within a WPI student team or across international collaborations. Our lab can be anywhere. I am touched when participants in a study thank me for taking time to listen to them, record their point of view, document their experience, or share their history. The more we know about each other, the more we can foster curiosity and communication that will break down barriers. WPI allows me to take students away from their primary focus of study, to work within communities, and identify locally-derived projects. If we can teach students to move from simply developing products “for these people” and towards working with a community, then we will have set in motion an approach to research and design that truly accommodates user-based engineering solutions. Experience with sensitivity to the consequences of their work can be the crux of an education.